"If I had the authority, you all would be fired!" Prime Minister Volodymyr Groysman says the government will ask President Petro Poroshenko to dismiss the head of the State Property Fund Ihor Bilous. "I believe that the State Property Fund requires tough resuscitation. The structure is all around ineffective. The last tender for the privatization of the Odessa Portside Plant has shown that the institution is incapable, wholly incapable of carrying out effective privatization and manage state property. It's not in the authority of the Cabinet to appoint and change management, but I would have fired everyone who manages the Fund. If I had the authority, you all would be fired!" 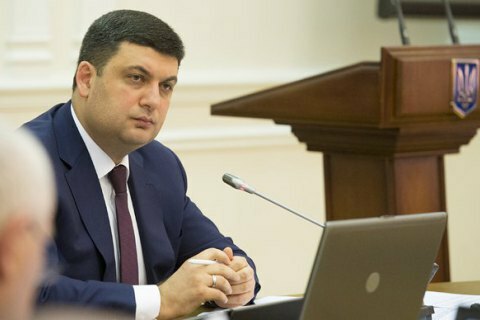 Groysman told a government meeting on Wednesday, 7 December. Head of the State Property Fund of Ukraine is appointed and dismissed by the president with the consent of the Verkhovna Rada. Bilous has headed SPF from May 2015 after a scandalous dismissal from the State Fiscal Service. Bilous has worked in the UBS investment bank, where he was in charge of the Ukrainian business. He also worked in the Russian company Renaissance Capital, heading the investment banking department for Ukraine and Central-Eastern Europe. He was an advisor to oligarch Vitaliy Haiduk. His last job before the public service was a consultant with the investment company Altius.